Satellite View - requires Google Maps; view as of today. Americans: (196) possibly missing a few names and our count (189) does not match other records. 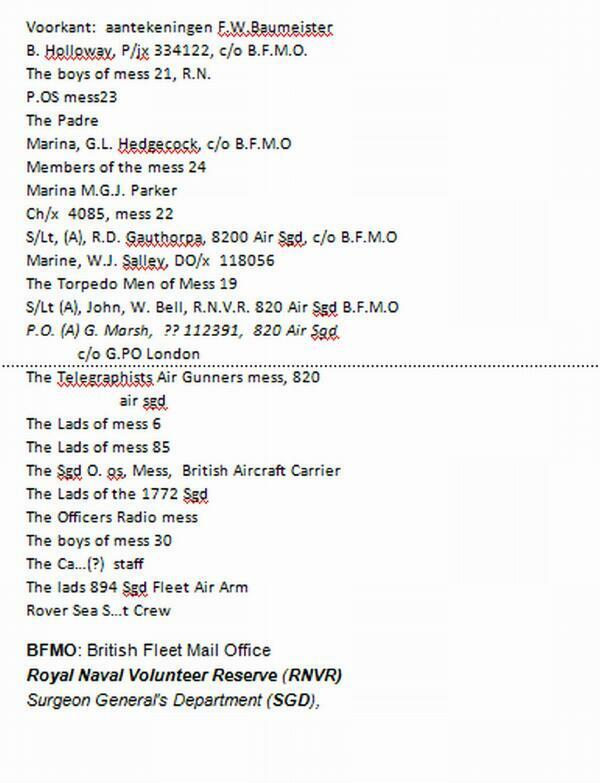 New rescue roster located in RG 407 Box 102 pending transcription (see below PDF file). Heimbuch, Raymond C., I'm One of the Lucky Ones - I Came Home Alive, Dageforde Publishing, Inc., 2003. 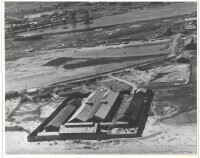 POW Camps at Camp Casisang and Davao Penal Colony on Mindanao and Yokkaichi and Toyama in Japan. 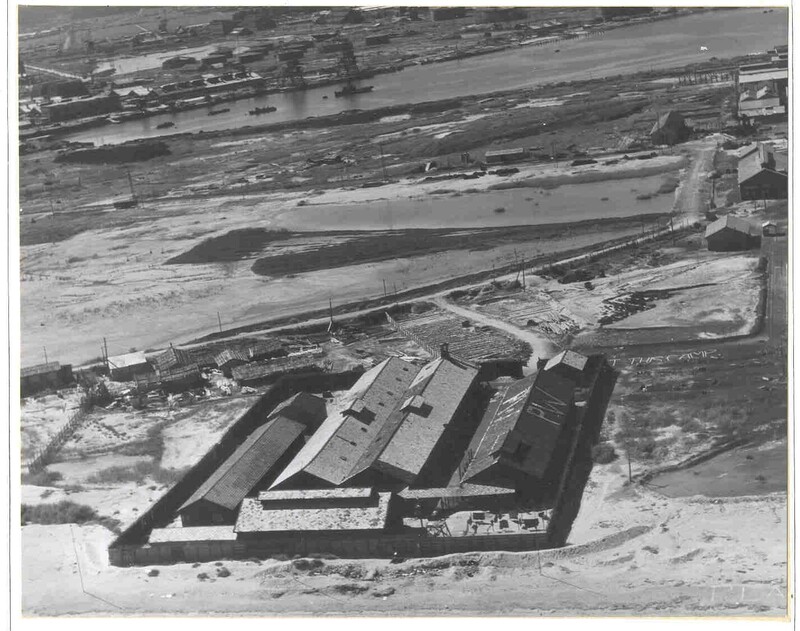 Dutch soldier, Frank Samethini, discusses his experience at Yokkaichi before his transfer to another camp, Nag #7 thence to Nagoya #11. Very well written. 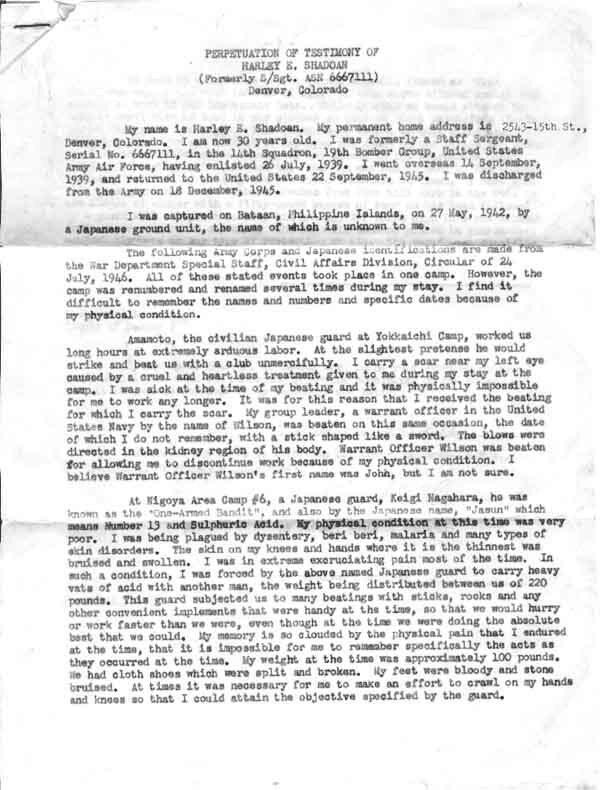 Affidavits of Harley E. Shadoan regarding the brutality of the Japanese guards. 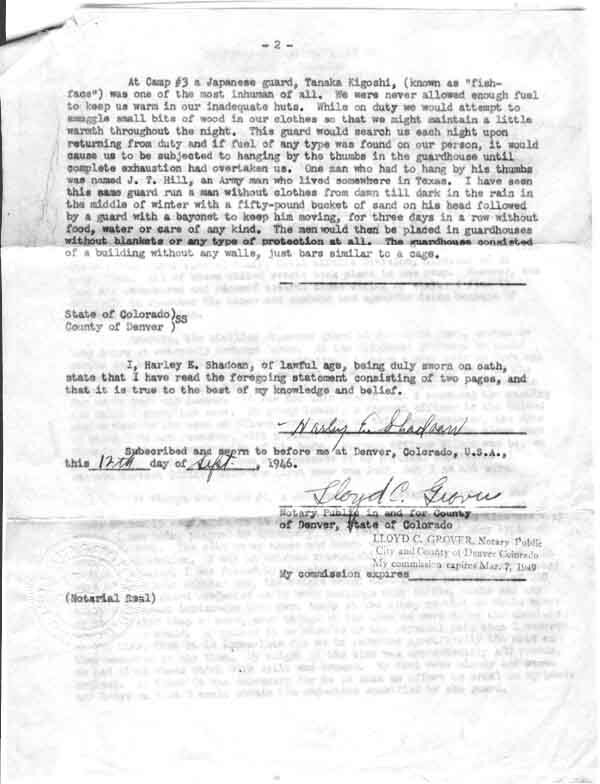 Provided by his son, Harley E. Shadoan Jr. Biography of Carl Robert Ruse by Timothy Ruse; more can be found here. Book also available: "We Volunteered." War diary of Dutch POW, F.W. Baumeister, translated into English by daughter, Irene. 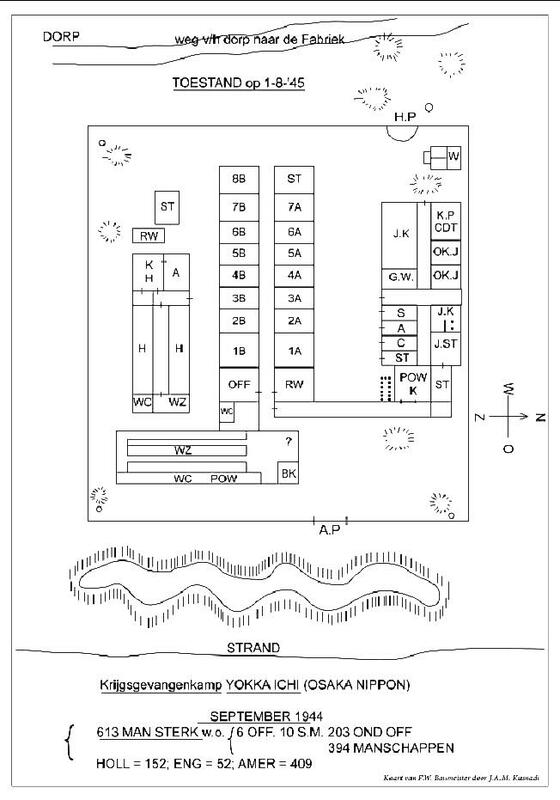 See this special page on Baumeister and the POW supply air drop of Aug. 30, 1945. See also more on the hospital ship USNHS Rescue. 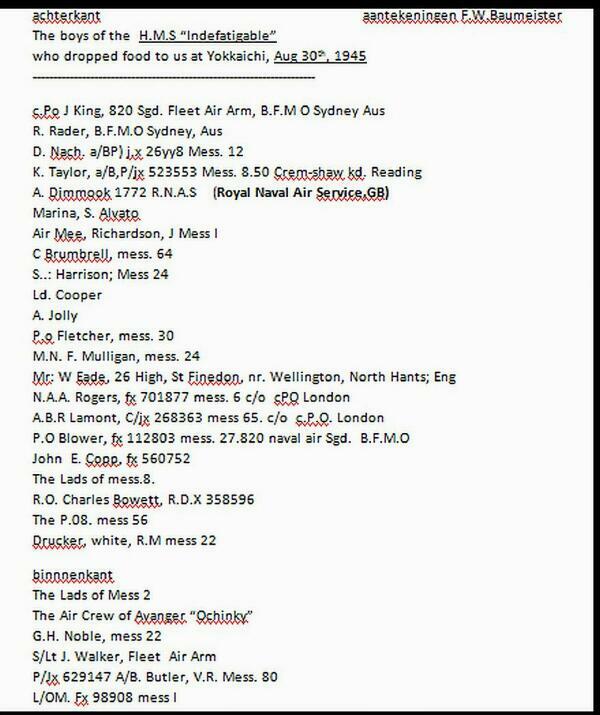 By aircraft from HMS Indefatigable on 30 AUG 1945. See this special page on this air drop.